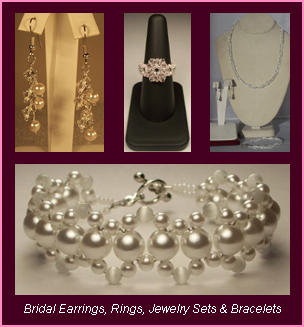 Please click on the bridal jewelry categories above for easy shopping! Complete and accent your stunning look with an elegant and sparkling jewelry set from our beautiful bridal collection! Jewelry for the bride, her mother and her entourage... including rings, earrings, necklaces and chokers, bracelets and anklets and MORE!